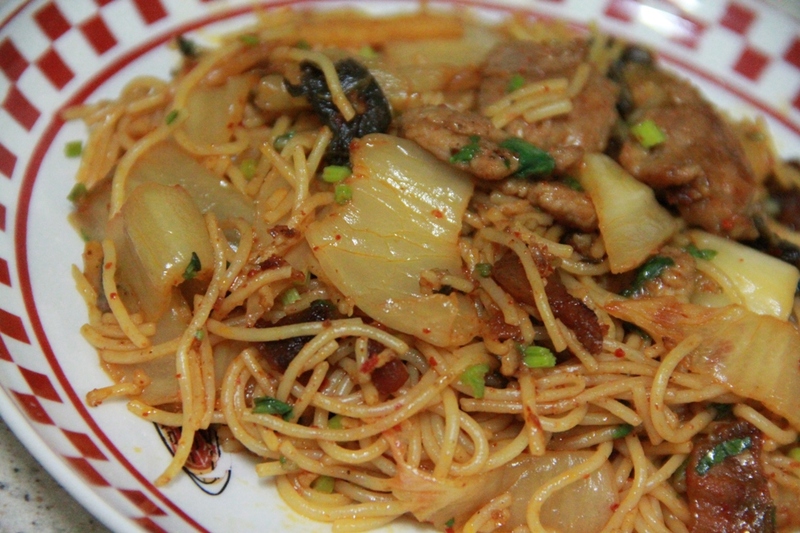 I prepared Kimchi angel’s hair pasta. Hehehe…sounds very fusion right. I like to mix and match ingredient to produce a simple dish. No doubt its not formal….but to me; most important is the taste can bind well. This is very simple and easy to prepare. boiled angel’s hair pasta & set aside. 1) Heat some oil on wok. Brown the minced garlic till fragrant. 2) Add in the sliced pork/ chicken, stir fry till cook. 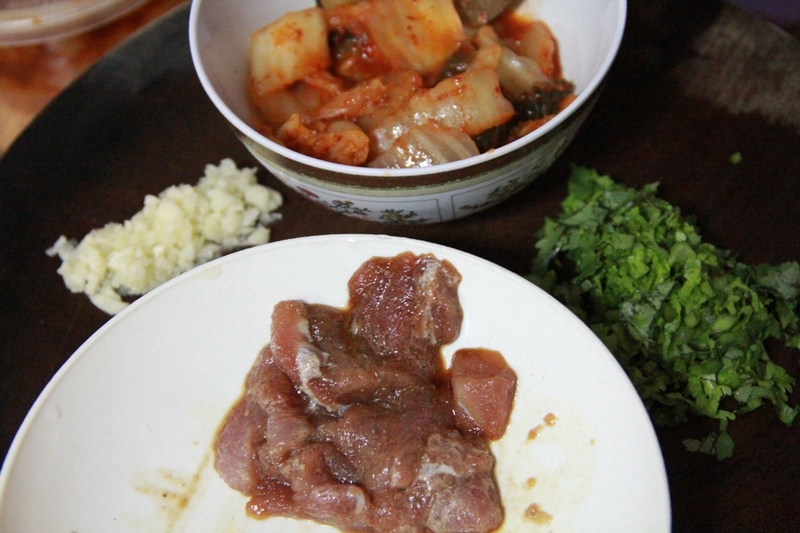 3) Add in kimchi and stir them well. 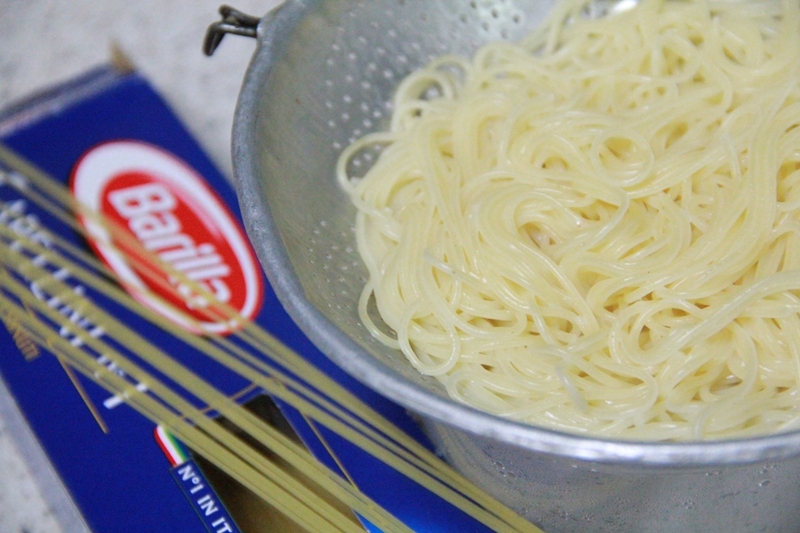 4) Finally add in the boiled angel’s hair pasta, stir fry it well. Add some light soya sauce for extra taste.